TED lectures are usually great. Here are some reflections on the “whys” and “don’ts” of Mars colonization. 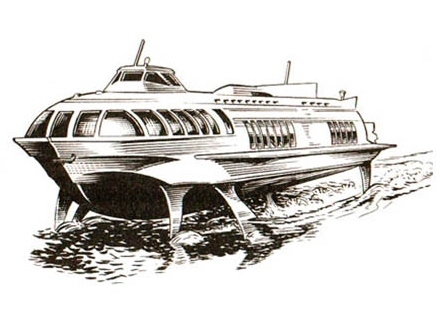 Summary in English: A hydrofoil used for medium-distance passenger transport on the rivers and lakes of the Kythera campaign world for the Swedish Sci-Fi! RPG. På Kythera ligger de viktigaste mänskliga bosättningarna vid Lake Agnes’ flodsystem på kontinenten Artemisia. Här är en av kolonialmaktens flodflygbåtar av Meteor-klass, avsedd för civil passagerartransport. Kapacitet 100 passagerare och toppfart/marschfart 80/50 knop. NOM-regimens rederi Lacolineas SA kör cirka hundra Meteorer som den kytheriska motsvarigheten till landsvägsbussar (t.ex. Swebus eller Greyhound). A successful and dramatic rebellion leads to the establishment of a free nation, well, that is the way fiction tends to portray revolutions. The reality is bleaker: when the smoke clears and the old tyrants dangle in the gallows, the new rulers too easily adopt the bad old ways to maintain their grip on power. Similar, and perhaps even more frightful, developments took place in south-east Asia after the violent eviction of the French and Dutch colonialists in the 1940s and 1950s. 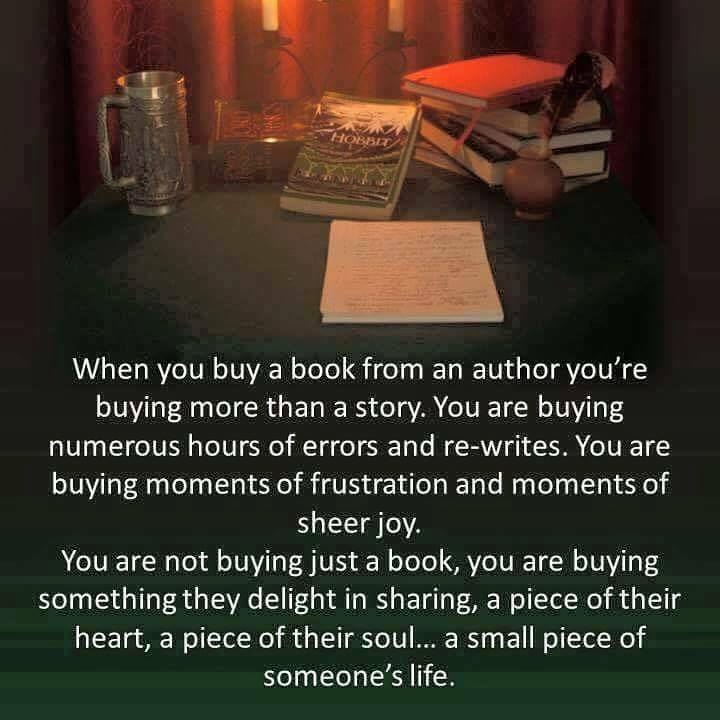 This is something that one should keep in mind when designing “realistic” rebel-themed campaigns and stories. Adèle von Rosen is mentioned en passant in my dieselretro spy adventure The Ice War in a conversation between protagonist Johnny and his old friend Paul. 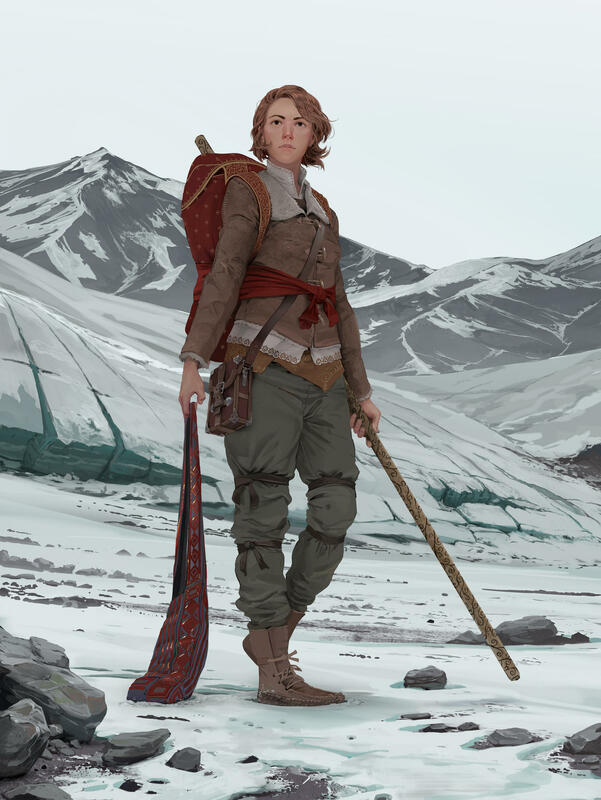 She is an adventurous archaeologist that is important to both men for various reasons explained in the story (no spoilers here). However, her whereabouts in 1940 are unknown because of the turmoil of the ongoing Republican Rebellion. Adèle will be one of the protagonists in the planned stand-alone sequel. I was pleasantly surprised when I today found this painting by Michael MacRae at Deviantart. A perfect depiction of that daring lady somewhere in the mountains of Magalhana. Click on the picture for a larger version. My blogging schedule is currently disrupted because I have several serious deadlines approaching. So my thrice-a-week posting habit will be suspended for a while. 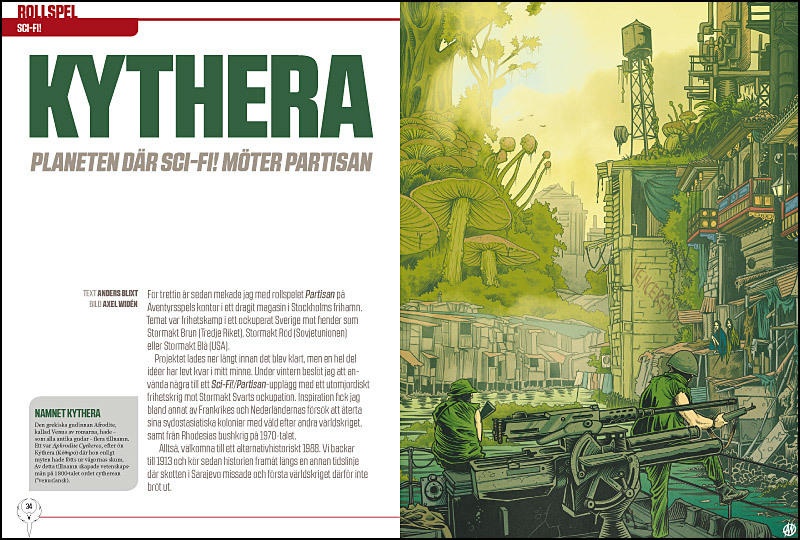 Summary in English: I have written a retro-SF campaign for the Swedish game magazine Fenix. Get email updates by entering your email here.